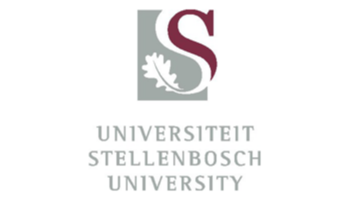 First-year students can look forward to an exciting welcoming programme at Stellenbosch University in 2014. More information is available at www.sun.ac.za/welcome. 08:30 – 12:30: First-year students arrive at their respective residences or PSO wards. Before the official welcoming ceremony parents will have the opportunity to meet the dean of the faculty where their child will study. Click here for a link to the welcoming programme with information about when and where these meetings will take place. 08:30 – 10:00: Parents and first-year students on the Tygerberg Campus meet the Dean, Prof Jimmy Volmink, in the Tygerberg Sports Hall. A programme will follow, ending at 15:00. 15:30: Meet the Deans of the Faculties of Economic and Management Sciences, Engineering, Arts and Social Sciences, Law, Theology, Science and Education. 15:30: Students in the programmes B of Speech-Language and Hearing Therapy and B of Occupational Therapy will meet with the Executive Head: Interdisciplinary Health Sciences in the Sports Science building at Coetzenburg. SU Rector, Prof Russel Botman, will greet new students at the official welcoming ceremony (compulsory for all first-year students). The informal welcoming programme will kick off at 17:30. Parents are also invited to attend the event and are advised to take their seats as soon as possible after their meetings with the Deans. 09:00 – 12:00. Compulsory language placement tests for students in die Faculties of Engineering, AgriSciences, Science, Theology, Education, Law, Arts and Social Sciences and Economic and Management Sciences as well as Occupation Therapy and Speech-Language and Hearing Theray students. 13:30 – 17:00: Faculty meetings for new students (see programme). 08:00 – 12:00: Students meet in their clusters. 14:00 – 20:00: Bondelsport (read more about the MAD2 programme for 2014 here), Societies Fair and Pool Party. This event gives the different houses on campus the opportunity to bou gees – develop pride for their house. The format of this event will be different from Bondelsport in the past. To ensure a more intimate event with your house, houses will be divided into groups and these groups will rotate between three events: Bondelsport, Societies Fair and Pool Party. 08:00 – 17:00: Academic registration, computer user area registration and faculty meetings. 08:00 – 13:00: Academic registration, computer user area registration and faculty meetings. 16:00 – 17:30: Sport club meetings. Click here for a link to the welcoming programme to find information about when and where these meetings take place. 08:00 – 12:00: Community Interaction morning. Each house use this morning to introduce their annual community project to their first-years and seniors. Seniors who were registered at SU in 2013 can e-register from 13-30 January. Seniors in residences return on 2 February (at the latest – residences have own arrangements with seniors) and classes start on3 February. Maties’ first Varsity Cup match takes place on 3 February against NMMU in Port Elizabeth. The first home game in the Danie Craven stadium will be played against UCT on 10 February. Click here for a list of home fixtures. Contact 021 808 9111 or send an e-mail to [email protected] for more information.